Today is August 2nd. If we were to turn Atlanta's clock back 85 years to this date in 1928, we'd find a new eatery opening up in town. 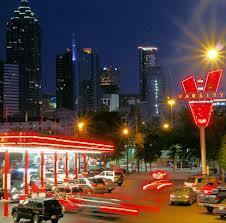 In the years since the first burger was flipped, The Varsity on North Avenue has become one of Atlanta's most endearing landmarks.